There's one thing that everyone agrees on. 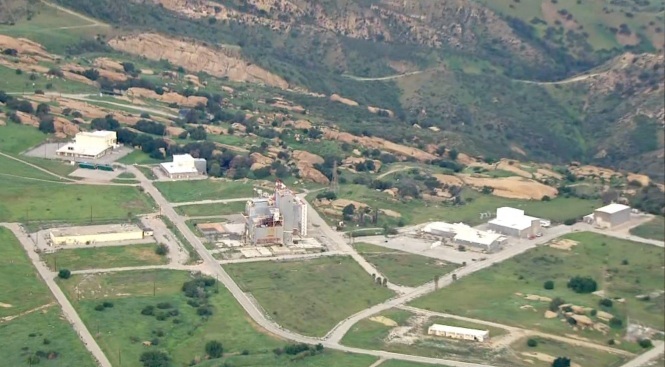 The Santa Susana Field Lab (SSFL) is contaminated with radionuclides and toxic chemicals. The impact of the contamination on those living near the former nuclear and rocket testing site and how much should be cleaned up depends on who you ask and the numbers they're using. Over the last three years, the NBC4 I-Team has been investigating the history of SSFL, a once secret site tucked away in the hills of Simi Valley, and the efforts to get it cleaned up. For decades, scientists and staff at the site experimented with new kinds of nuclear reactors, advanced rocket systems, and futuristic weapons. While this research resulted in scientific advancements, it also left behind a legacy of radioactive and chemical contamination on both the property and in nearby communities according to multiple studies and investigations. Most of the SSFL property is owned by The Boeing Company, but the United States Department of Energy (DOE) is responsible for cleaning up the nuclear contamination in a section called Area IV and NASA is responsible for cleaning up a portion of the site once used for rocket testing. The parties responsible for the contamination would also be responsible for the cost of the cleanup that will likely be in the hundreds of millions of dollars. In 2010, DOE and NASA signed legal agreements with the State of California mandating that they completely clean up their contamination, to a level called background. In other words, restore the land to how they originally found it, with a few exceptions designed to protect sensitive areas and Native American artifacts. How much of the remaining contamination that Boeing will have to clean up will ultimately be determined by California's Department of Toxic Substances Control, known as DTSC. The agency, whose director is appointed by the Governor, regulates hazardous waste throughout the state. For residents and activists concerned about the health impact from the contamination at the site, understanding the cleanup plan can be a challenge. The process for determining the extent of the problem and developing a cleanup plan is highly technical. Numbers like 7.2E-02 and 9.6E-01 fill thousands and thousands of pages of documents that have taken years to create. Although difficult to understand, it's these numbers that will ultimately determine how much of the contamination will be removed from Boeing's portion of SSFL. A change of a single digit could mean more or less contamination remains on the site. And some residents living near the site have expressed their concerns to NBC4 that the more contamination left behind, the greater the risk to their health and the wellbeing of their families. Melissa Bumstead, the mother of a young daughter with cancer, recently posted on her Facebook page that "We didn't know when we moved to West Hills seven years ago that our home was five miles from a nuclear meltdown." She's referring to a 1959 accident at an experimental nuclear reactor called the SRE in the nuclear section of SSFL. A whistleblower told NBC4 in 2015 that the meltdown sent radioactive contamination into neighborhoods around the site. In her post, she added, "We didn't understand why so many of the families at Children's Hospital Los Angeles were our neighbors- childhood cancer is supposed to be very rare." While Bumstead acknowledges that she can't be certain of what caused her daughter's cancer, she suspects contamination at SSFL contributed to her illness. She has written to state officials asking for a complete cleanup of the site. "Please make Boeing clean up the SSFL 100%," Bumstead wrote in the post. A secret that may have put thousands of kids at risk: A popular SoCal camp at the center of a toxic cover-up. Joel Grover reports for the NBC4 News at 11. Documents recently released by Boeing and DTSC suggest that Bumstead's desire for a complete cleanup of SSFL contamination may not come to fruition. While the documents are short on specifics, including the final numbers that will be used in determining how much of the contamination is removed, there are clues about what the responsible parties intend to do about the problem. For years, Boeing has said that they plan to clean up the site so that it would be safe enough to live on. Meaning, you could build homes there, live in them, and possibly even grow your own produce in your backyard garden. They maintained that the land would be safe enough for that. 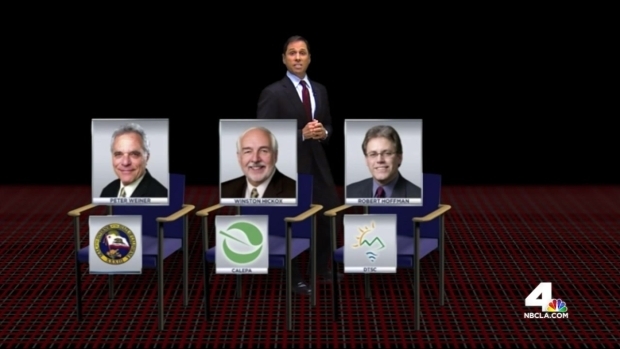 In 2015, as part of the NBC4 I-Team's "LA Nuclear Secret" series, Boeing said, "we will restrict Boeing's property so it will never be used for residential, commercial, industrial or agricultural purposes, but the land will be cleaned up so it's safe enough that houses could be built there if it wasn't restricted." In a letter to the community that same year, Boeing explained that they have "referred to this commitment as a cleanup to the 'suburban residential' standard that is applied generally throughout the state. This means we will clean up our portion of Santa Susana so it will be safe enough that someone could live there and be at the site every day if development was allowed." But late last month, Boeing backtracked on that commitment. In an email to the community, they wrote, "the revised proposed cleanup will be based on recreational land use scenarios, and not a 'residential' cleanup as we originally volunteered. We acknowledge this difference and would like to explain why we made the change." The company told NBC4 in a written statement that "To fulfill a commitment we made a decade ago, we recorded a conservation easement in April that ensures nearly 2,400 acres of Boeing-owned land at Santa Susana will forever be preserved as open space habitat for the benefit of local wildlife and people." Boeing added, "We are committed to performing a cleanup that is fully protective of human health and the environment, consistent with the land's future use as open space habitat. This means Santa Susana will be fully safe for all future users, fully safe for neighboring communities, and fully safe for the wildlife that live here and pass through this vital habitat. We believe this cleanup is in the best interest of our neighbors by reducing potentially significant impacts on the community." In their earlier email to the community, Boeing said that their easement means "residential considerations are unnecessary and inappropriate for the cleanup on our portions of the site." What's the difference between a "suburban residential" cleanup and a "recreational" cleanup? It's all about the cleanup numbers and how much of the hazardous waste will ultimately be removed. If you are going to live on a formerly contaminated site (suburban residential), DTSC will require a more stringent cleanup than if it's used as a park or for hiking (recreational) where people only visit periodically and for short periods of time. While NASA and the U.S. Department of Energy are legally required to fully cleanup the contamination in their areas, assuming the DTSC enforces those agreements, DTSC is using what it calls a "risk-based standard" to determine how much of the remaining contamination should be removed by Boeing. That means they will weigh the potential risk from different amounts of contamination and how those risks will impact local residents and the environment. DTSC will also consider the impact of the cleanup activities, such as removing large amounts of soil, truck trips through neighborhoods, and the noise generated by the work in deciding how much contamination should be cleaned up. Their decision on whether to cleanup to a "suburban residential," "suburban residential with a garden," or "recreation" level will directly impact how much contamination goes and how much remains. Here's where it gets even more complicated. There isn't necessarily a standard set of numbers for those labels - "suburban residential" and "recreation." You can label the cleanup as one thing but changing the numbers can impact the amount of contamination removed. These underlying numbers can change if the calculations that DTSC and Boeing are using are modified as assumptions changed and certain risks are excluded.. So DTSC might call something "suburban residential" in 2015 that uses more protective cleanup standards than something they still call "suburban residential" in 2017. "DTSC is saying it will consider cleaning up to residential standards, but in fact is using cleanup levels that are nearly thirty times higher, less protective, than DTSC's official residential cleanup standards," said, Dan Hirsch, who recently retired as the director of UC Santa Cruz's Program on Environmental and Nuclear Policy and a longtime advocate for a complete cleanup of SSFL. Why does it matter if no one is ever going to live on the land? A group of local elected officials says leaving contamination in place at SSFL poses a health risk to the thousands of people living below the facility, which is located on top of a hill. In early September, Los Angeles County Supervisors, Sheila Kuehl and Kathryn Barger, Los Angeles City Councilmember, Mitchell Englander, and Ventura County Supervisors, Linda Parks and John Zaragoza wrote a letter to the Secretary of the California Environmental Protection Agency, Matthew Rodriguez, and the Director of the DTSC, Barbara Lee expressing their concerns about leaving contamination at the site. In their letter, they wrote that "Boeing's attempt to reduce the level of clean up to a much weaker standard will leave some of these toxicants in place, risking the people's health into the future." They add that a lesser cleanup could put "the surrounding communities at greater risk from offsite migration of contaminants." The letter also points out that "while Boeing can make this brazen announcement the authority to determine cleanup standards rests with the State, not Boeing." That's the California Department of Toxic Substances Control (DTSC). DTSC issued a statement saying "any comments about a potential cleanup plan were premature. The agency will soon release a plan for public comment that seeks to clean up the area to residential standards, consistent with the 2007 Consent Order. We look forward to public feedback at that time." That document, known as a Program Environmental Impact Report (PEIR), was released in draft form in early September 2017. During a media conference call between DTSC and reporters on the morning the PEIR was released, Mohsen Nazemi, a Deputy Director at DTSC, said "this draft report describes the potential environmental impact from the anticipated cleanup activities at SSFL." What the DTSC report doesn't do is provide an actual blueprint for cleaning up the site. It doesn't divulge the final numbers that will be used. "The decision documents on what that actual cleanup will be is going to come later," said Nazemi. That should occur in the second half of 2018 or first part of 2019, according to Nazemi. Still, advocates for a full cleanup of SSFL say that while the PEIR is short on specifics, what is in it raises questions about how much contamination will be left at the site and if it will threaten local neighborhoods. "The whole point is that people do live close by. In order to protect them, one has to eliminate the source of the radioactive and chemical contamination that migrates offsite and can expose the nearby residents," said Hirsch. DTSC and Boeing have said that there is no risk to neighboring communities despite the fact that chemicals and radioactive contamination of the kind found at SSFL have been also found off-site. Two studies reviewed by the U.S. EPA, in 1993 and 1995, found "radioactive elements" at an offsite location. In 1995, the EPA said the levels of radiation found "do not pose a threat to human health." The EPA has since tightened its standards of safe levels of radiation. A 2007 federally funded study, done by Dr. Yoram Cohen of UCLA, concluded that contamination from the Field Lab had affected neighboring areas. "We noted that there was ample evidence that contaminants have migrated off-site," Dr. Cohen told NBC4 in 2015. And a 2007 Centers for Disease Control study found that people living within two miles of the Santa Susana site had a greater than 60 percent higher rate of some cancers. "There's some provocative evidence," said Dr. Hal Morgenstern, an epidemiologist who oversaw the study. 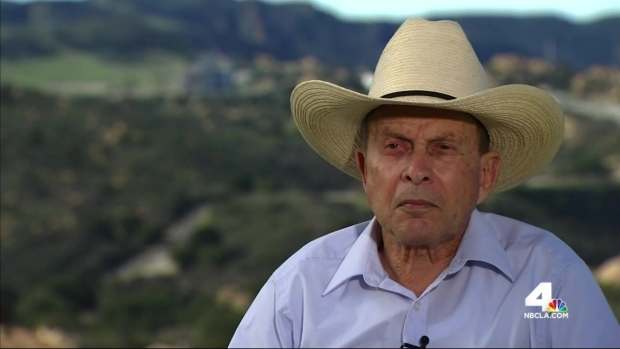 "It's like circumstantial evidence, suggesting there's a link" between the contamination from Santa Susana and the higher cancer rates. WHAT WILL BE THE CLEANUP STANDARD? Will DTSC go along with Boeing's plan for a "recreational" versus "residential" cleanup of the Field Lab and how protective will the "residential" standard be. The state agency has repeatedly said they will require a "suburban residential" standard that protects public health and the environment. Hirsch, however, says buried inside the PEIR is evidence that DTSC is relaxing the cleanup standard by changing the underlying numbers. He says DTSC is ignoring their early commitment to fully cleanup the contamination and their own "residential" cleanup standards. "DTSC's long-established numbers were appropriate for a residential cleanup. The problem is that DTSC has now abandoned its own cleanup levels and replaced them with Boeing's, which are more than 25 times less protective, even for the residential scenario," explained Hirsch. Hirsch says he's compared the cleanup numbers that DTSC have been using for years in developing the cleanup plan with the new numbers being used in the agency's recently released PEIR. "The numbers they are using are grossly higher and less protective than what DTSC themselves have set as protective for suburban residences," said Hirsch. For example, he says the new calculations could allow as much as 29 times more arsenic to be left on the site, 29 times more dioxins (potentially toxic chemicals), and 26 times more perchlorate, a chemical used in rocket fuel. "They had promised to use standards more protective than 'suburban residential' in the first place," added Hirsch. Hirsch is referring to a document written by DTSC in 2010 where the agency wrote that they "would defer to local government's land use plans and zoning decisions. In this instance, the Ventura County zoning maps specify that the site and much of the surrounding area are currently zoned as rural agriculture." If the site was used to grow crops and produce, the standard for cleaning it up would be higher than what Boeing is recommending and what DTSC is considering, according to Hirsch. Boeing says the land will never be used for that purpose and it will be cleaned properly, but Physicians for Social Responsibility-Los Angeles (PSR-LA), an advocacy organization that has been pushing for an SSFL cleanup for years, says DTSC should insist on a more protective standard then is currently being considered. "If they follow through, dangerous radioactive and chemical contamination will remain on site at SSFL, where it will be available to migrate to nearby communities, sentencing them to perpetual risks of exposure," said Denise Duffield, Associate Director for PSR-LA. In a press release, DTSC says that "after extensive work to understand the full nature and extent of contamination, DTSC is moving the cleanup process forward and holding the parties that contaminated Santa Susana accountable." "What we analyzed was what we felt was the most extensive cleanup activity," said Nazemi during a media call. In the press release, he added that "DTSC will continue to use the best available science to protect human health and the environment." Boeing told NBC4 in a statement that they "remain committed to a cleanup that is fully protective of human health and the environment, consistent with Santa Susana's future use as open space habitat." To help get their message out, Boeing has created a website to promote their point of view regarding the cleanup. On the website, visitors can enter their personal information and the site will automatically send a letter to the DTSC written by Boeing that reads in part, "I am opposed to the proposed cleanup and cleanup alternatives for Boeing's property in the draft Environmental Impact Report that assume residential development and backyard gardens at the Santa Susana site." The letter adds, "A cleanup level based on residential use with backyard gardens would be excessive and have unnecessary impacts on the community, wildlife and habitat." Several community organizations are supporting Boeing's position and join their opposition to a full cleanup of SSFL. These groups argue that completely removing the contamination is unnecessary for protecting the public's health, and that attempts to remove it all will damage the vulnerable environmental resources and historic features found on the property. But advocates for a complete cleanup say Boeing's lobbying efforts and the recent documents published by the company and DTSC demonstrate that both parties are backing away from earlier commitments to fully clean up the site. Physicians for Social Responsibility-Los Angeles recently launched their own SSFL information website to counter the claims that Boeing makes on their page and allow their supporters to send letters in support of a full cleanup. "The EIR indicates that DTSC has no intention of fully cleaning up the nuclear and chemical contamination at SSFL. It rules out the most protective cleanup for the Boeing property, and considers options - such as 'natural attenuation' meaning letting the contamination slowly degrade over decades," said Duffield. "My best estimate is that, unless the public and their elected officials succeed in stopping DTSC's caving in to the parties responsible for the pollution, the great majority of the contamination will never get cleaned up," added Hirsch. The public will be able to comment on the proposed cleanup throughout the process. The DTSC initially established a 45-day comment period that would have ended October 23rd but the length of that window was questioned by the same elected officials who wrote an earlier letter of concern to the DTSC and the California Environmental Protection Agency about the cleanup plan. The elected officials wrote, "Extending the deadline allows all interested parties and individuals ample opportunity to review this information and make deliberations on how the cleanup of the SSFL could impact the organizations they represent or communities where they live." A week after the letter was sent, the DTSC told the I-Team they are extending the comment period by 45 days. The public will now have until December 7, 2017 to submit their comments. Those comments can be sent to DTSC at this web address.